Is your brand seen as a leader in your industry? When people talk about the type of products you sell, does your company come up in the conversation? If the answer to either of those questions is no, then you might have issues with your brand’s share of voice. With social media becoming increasingly competitive, capturing and retaining your audience’s attention is more difficult than ever. Not only that, it’s a struggle for some brands to even be heard when over 52 million photos are shared a day on Instagram and more than 7,000 Tweets are sent every second. When you throw in decreased organic reach for brands on networks like Facebook, the challenge becomes even clearer. So with all of this against you, what can your brand do to get more visibility and capture your audience’s attention? Read on to learn how to increase your share of voice on social media. Share of voice measures the amount of the conversation your brand owns with your target audience compared to your competitors. It’s kind of a tricky metric since not every brand measures it exactly the same. On social, some brands look at share of voice as the amount of social media messages shared about your brand, in relation to all of your competitors. But you can also look at share of voice around a specific keyword or hashtag. For instance, a hotel chain might measure what percentage of social media messages involving the keyword “hotels” that contain its brand name compared to the percentage that mention competitors. Ideally, the hotel chain would want to have a larger share of voice for hotel-related keywords than its competitors because it’s a sign that consumers are more aware of them than competitors. For the purposes of this article, we’re going focus on share of voice on social media. In order to be heard on social media, you need to be active. There’s no way around it. If you only Tweet once a day or post to Instagram once a week, you’re going to get overlooked and forgotten. All of the major social networks have millions of active users sharing content, engaging and browsing them every day. Your brand has to compete with all of that and cut through the noise. The only way to do that is to be active on a consistent basis. Start by creating a social media calendar that outlines all of your planned content for the month. You don’t have to include every single post you plan to make. The goal is to schedule content that needs to go out on specific dates (campaigns or special holidays) as well as content curated from your own site. This will allow you to fill content gaps and give you the ability to share content around the clock. The last thing you want is for your audience to go long periods of time without hearing from you. Because even if you aren’t posting, there’s a strong chance one of your competitors is, which gives them more room to grow their share of voice. Being active doesn’t mean you should just make a bunch of promotional posts every day. A common misconception for brands is that social media is just a content distribution channel. That’s far from the case. Social media is an opportunity to engage and interact with your audience. Consumers know this, but it sometimes gets lost among brands. As a result, there’s often a disconnect between brand activity and consumer expectations. For instance, one of our surveys found that 89% of messages to brands go completely ignored. 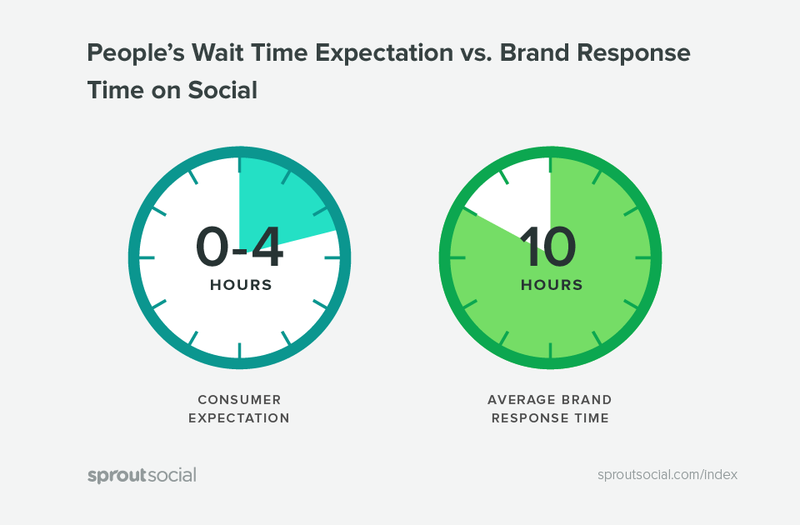 And when brands actually respond, they aren’t doing it as quickly as consumers expect. So how does this relate back to your brand’s share of voice? It shows the power of engaging with your audience. Whether it’s responding to upset customers, thanking a follower for sharing UGC or any other type of engagement, it all improves brand likability and gets people talking about your brand. 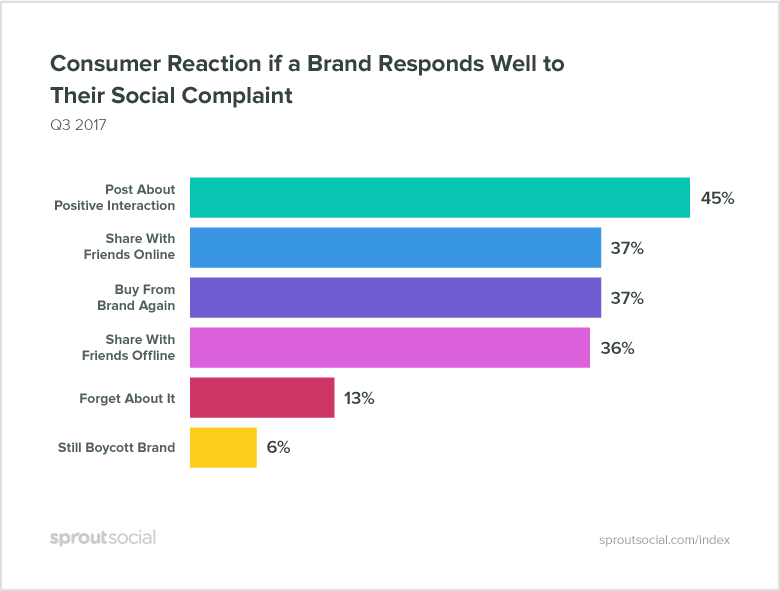 Our data found that 45% of consumers will post about a positive interaction if a brand responds well to their complaints on social media. And 37% will share their story with their friends online. That translates to an increase in positive conversations about your brand on social, and a larger share of voice. 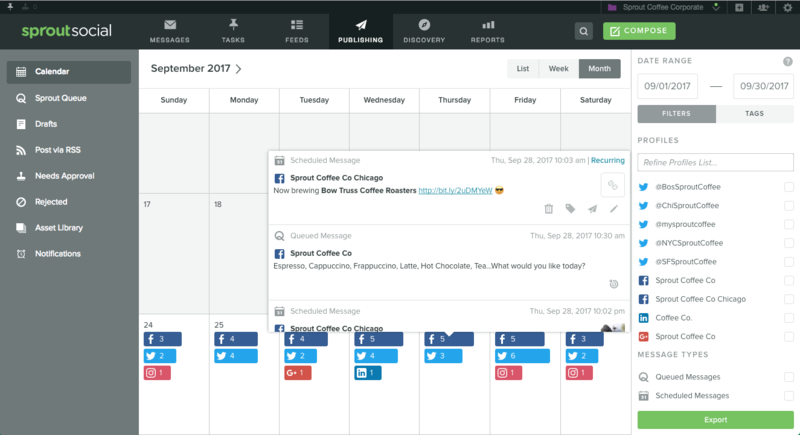 You can use a social media management tool like Sprout Social to make sure any incoming messages don’t get overlooked. One advantage of using Sprout is we display all of your incoming messages, including messages containing specific hashtags, in a single stream. That saves you the time and hassle of switching between Facebook, Twitter and Instagram to reply to your audience. And after you’ve responded, just mark the message as complete so everyone on your team knows it has been taken care of. Check out this case study to see how Trello uses Sprout to respond to 97% of Tweets within 24 hours! One of the best ways to get people talking about your brand is to create share-worthy content. Whether it’s Twitter, Facebook, LinkedIn or any other network, sharing industry related content can boost your share of voice. By sharing tips, news and other content about your industry, people will start to seek more of that type of content from you, and share it as well. Not to mention, you have the potential to make a piece of content go viral if you can hit a home run with a specific post or campaign. 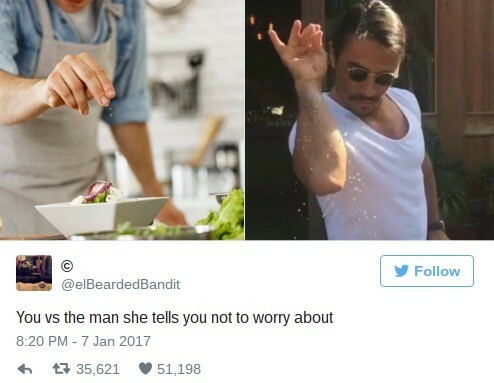 Take the viral sensation Salt Bae for instance. While you probably know it as a funny meme, do you know how it originally started? It was actually a play on another meme trend. Turkish chef Nusret Gökçe sent this Tweet from his restaurant’s Twitter Handle. As you can see, the Tweet caught on and started driving massive engagement. That prompted the chef to post it on Instagram as well, and it went on to become the viral sensation we all know today. With his increased share of voice, Gökçe turned his viral hit into business growth because demand for his food started to grow as the meme took off. Do people leave comments on your brand’s blog posts? 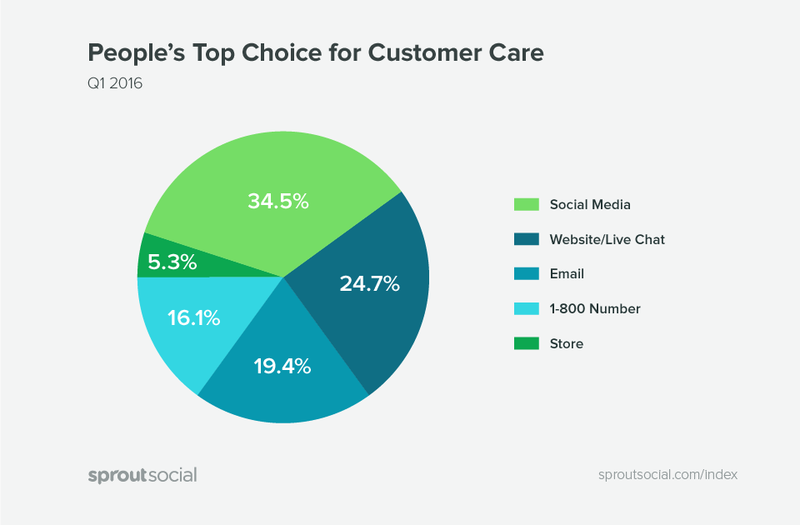 Do customers prefer to call and email you for customer service? Rather than having these conversations happen on multiple platforms, why not train your audience to head to social media to contact your brand first. Not only will it help keep you organized, but it increases your brand’s share of voice since there are more conversations and mentions of your brand on social. Plus, our data showed that customers actually prefer to talk to brands on social more than any other channel. One way to get your customers to go to social rather than email or phone support is to make it clear on your website. Highlight benefits to contacting you on social such as faster response times, easy communication or even getting quick answers with chatbots. More on chatbots here. 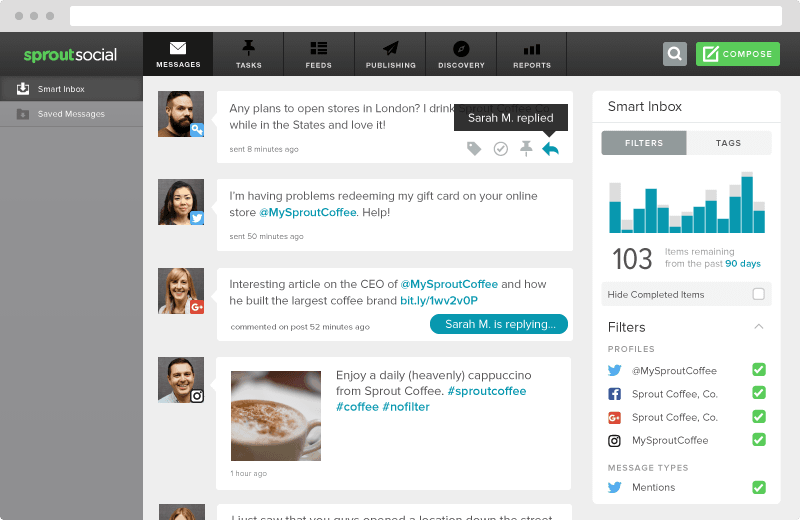 Get mentioned in major publications and referenced around the web to spark conversations about your brand on social. Use SEO to get your content on the first page of Google and get more visibility. Run paid ads to boost brand awareness. Then, you can start to craft campaigns that involve each channel. For instance, you might create a blog post and make a downloadable guide to go along with it. Then you promote that blog post and guide to your email list and with search ads to spread the word. Assuming the content you created is useful and relevant to your audience, and your promotion strategy is well implemented, chatter about your brand should start to grow. When building your share of voice, participating in existing conversations is important. But if you really want to be looked at as an industry leader and boost your share of voice, you need to lead the conversations. You can do that through building and feeding your own communities on social through Twitter chats, Facebook Groups or even niche forums. For instance, today Simple Green Smoothies is known as one of the top health blogs in the world and is a full-blown media company. And it all started with their focus around building a community. Thanks to their community, Simple Green Smoothies arguably has the largest share of voice around the web when it comes to healthy green smoothies. 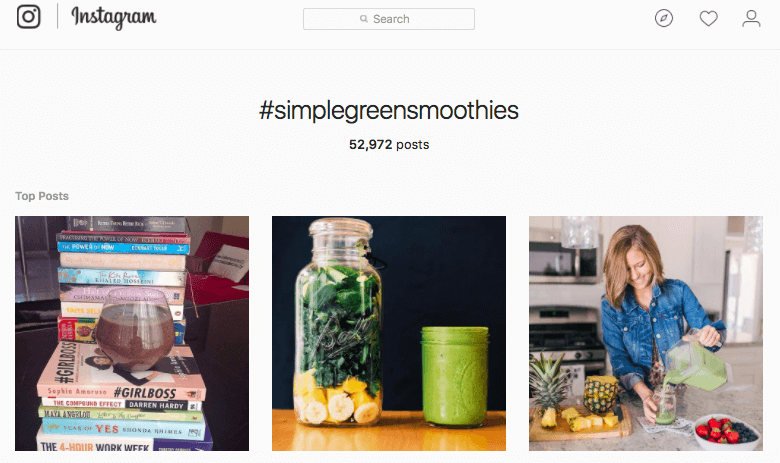 In fact, the hashtag #simplegreensmoothies has been used over 50,000 times on Instagram alone. At Sprout, we have #SproutChat, which is a weekly Twitter Chat where we talk about topics relevant to social media managers. By facilitating these conversations, we’ve built trust and authority in the social media marketing space and increased our share of voice on industry-related topics. The key is to find relevant topics your audience is passionate about. Otherwise people won’t be compelled enough to join in on the conversation. For example, one of our past #SproutChats was about how to handle a social media crisis. This is a topic most social media managers can relate to, so they’re more than happy to share their tips and advice. You’ll also notice that participants use our branded hashtag (#SproutChat) when they Tweet. That helps our social and communications team monitor how well received each chat is, as well as how much the chat grows over time. 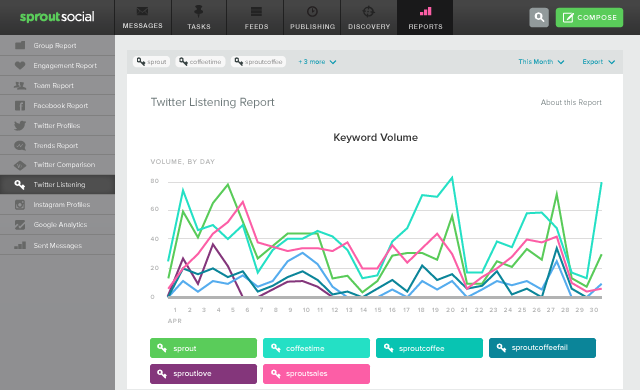 All of this is easily trackable with our social listening report. How much share of voice does your brand have in your industry? Do you lead the conversation, or blend in with the competition? Increase your market share and become the go-to brand in your industry by using the tactics above.